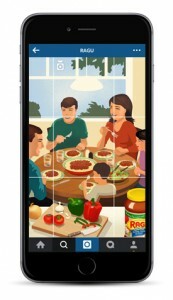 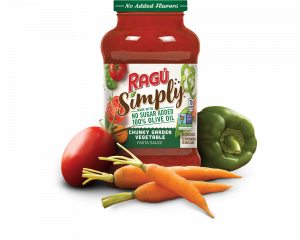 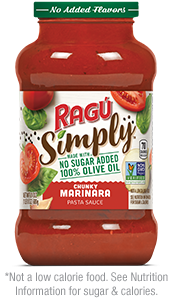 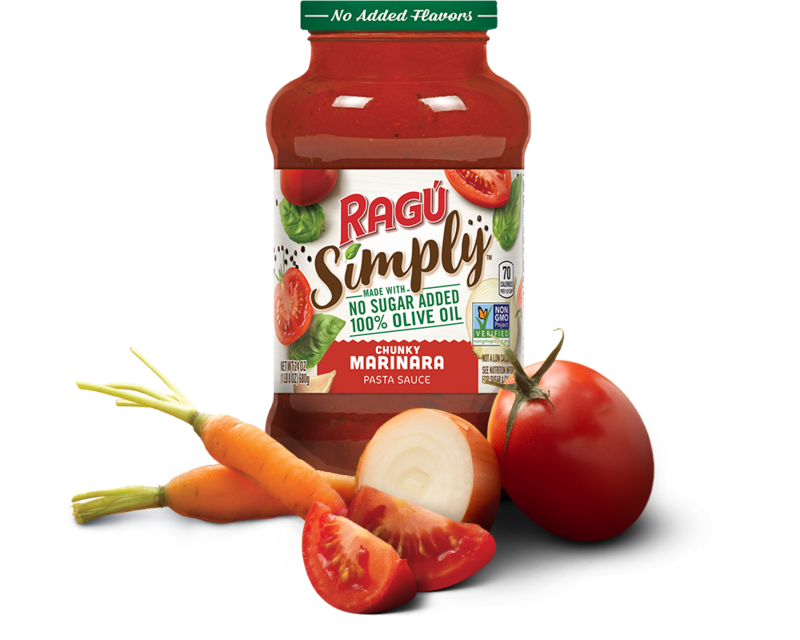 Savor each bite of plump tomatoes, onions, garlic, and spices in RAGÚ Simply Chunky Marinara Sauce. 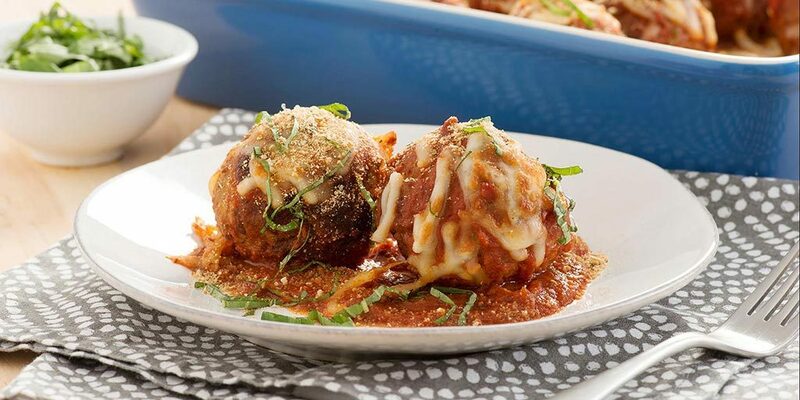 It’s proof that simple recipes bring tons of flavor. 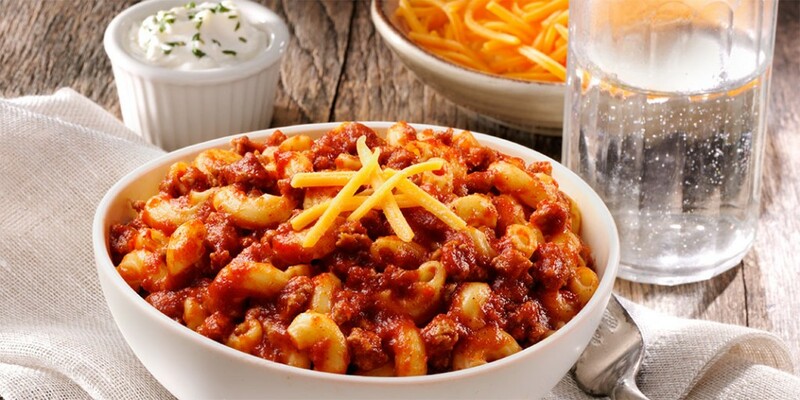 *Not a low calorie food. 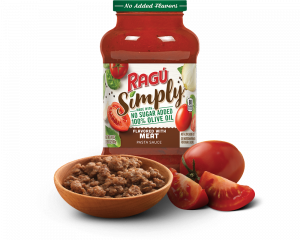 See Nutrition Information for sugar & calories. 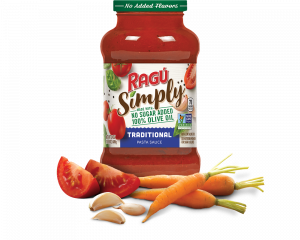 Tomato Puree (Water, Tomato Paste), Diced Tomatoes In Puree (Diced Tomatoes, Tomato Puree, Calcium Chloride, Citric Acid), Sweet Potato, Onions, Olive Oil, Carrots, Salt, Garlic Powder, Dehydrated Onions, Spices.